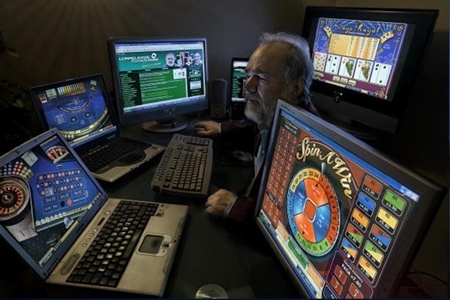 The online gaming test period in New Jersey went very well and the regulators have given the green light for full online gambling launch in the state to six casinos and their new websites. The statement was made on Monday as the Division of Gaming Enforcement made the highly anticipated announcement. A total of 13 operators linked to Caesars, Borgata, Tropicana, Bally’s, Trump Taj Mahal and Trump Plaza casinos can now accept real money bets from players within state borders, making New Jersey the biggest player in the regulated US online gambling industry. 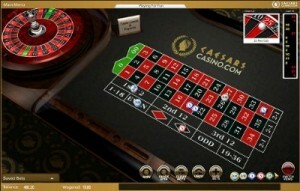 With seven online casinos going into the soft launch and only six going further, the Golden Nugget and its online operations are restricted to limited play for now, until some issues get resolved. Considering that the Nugget casino was added later by the DGE, it is just a matter of time until it will be able to join the other six casinos in New Jersey, according to DGE director David Rebuck. The problem seems to be with the customer service and the Nugget VP stated that it will be sorted out in about a week. Rebuck also talked about the great number of companies looking to take part in the action and there is a very good reason for the huge interest. Over 10,000 players registered on the websites available in the test period across the first three days. In comparison, the 500 players that the two online poker rooms in Nevada have after months of being live is just a drop in the bucket for New Jersey. Now that the sites are open to all players in the state, more users are expected to join and the operators will be free to start their marketing campaigns, as long as they stay within the bonus rules mentioned a while back. Of course, the trial period was not without issues and a lot of players complained about the geolocation systems not working properly. Rebuck defended this problem, saying that they are working well “from a regulatory perspective”. Some users even claimed that they were trying to access the sites from the land-based casinos in Atlantic City which were operating them and got rejected. These problems are expected to be dealt with across the first few weeks as it seems to be an issue on the operators’ end and they just need to fine the system. The fact that some credit card issuers are not on board with online gambling made it a bit difficult for some players to fund their online accounts but the DGE stated that it is working on the matter and hopes to solve some of the concerns the financial institutions are having. All in all, the trial period went well in New Jersey and the new online gambling sites are available to the general public. Despite the few issues here in there, it marks a great stepping stone for the future of the industry in the United States, estimated to generate billions of dollars in annual revenue.